Allergies can be exacerbated by plants just ask a hayfever sufferer. Pollen and strong scent often combine together and beware of allergic reactions to your garden plants. Asthma sufferers often complain that it is the scented garden plants that bring out the condition. Generally it is the heavily fragrant flowers but sometimes it is a single species such as Honeysuckle that cause the problem. Lilies like the Lilium Regale are one of the best scented flowers but one of the worst culprits for allergies. 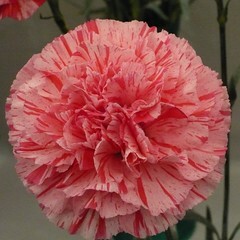 The Dianthus family of Carnations, Sweet Williams and Pinks with a spicy scent are known to bring on hay fever. Although generally unscented, many flowers from the Asteraceae or Daisy family seem to be allergenically toxic to many people. If you suffer then it is best to exclude members of this large family including Asters, Chrysanthemums, Marigolds and other similar looking flowers. Avoid ornamental grasses heavy in pollen. Aromatic plants which smell due to essential oils are less likely to cause some allergies but if you are very sensitive it is best to avoid Herbs, Lavender and Eucalyptus. Or at least do not inhale bruised leaves. Winter heather Erica Carnea in white and pink can look stunning from Autumn through winter. Geraniums such as the perennial cranesbill, Johnsons Blue is my favourite. 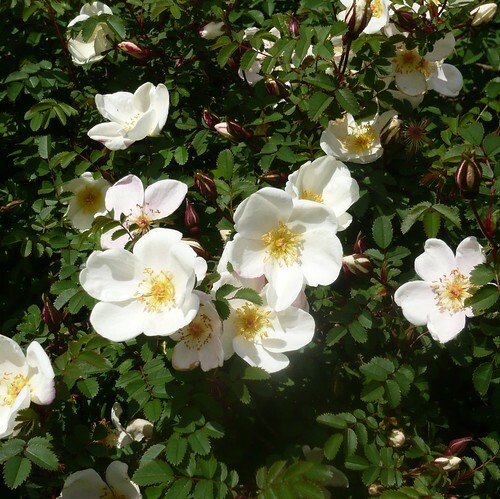 Climbing roses can be a problem but Iceberg has a low level of scent and I have seen Handel and Rambling Rector also recommended. 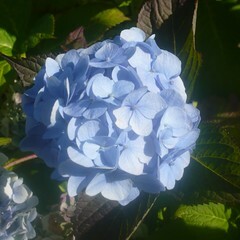 Hydrangea macrophylla including cultivars Ayesha, and Madame Emille Mouillere plus Lacecap varieties give you a wide choice of large flowerheads. Orchids as houseplants have cause allergic reaction. 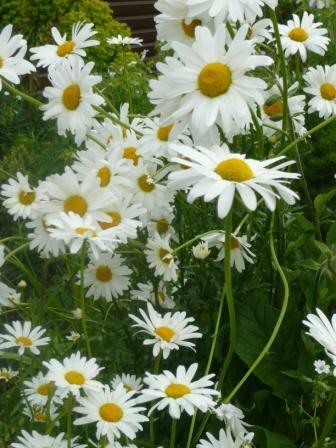 If you have hay fever, asthma or severe allergies, you should avoid eating flowers of the daisy family because they could trigger an allergic reaction. Take care when choosing a location for mushroom growing as some people are allergic to mushrooms or mushroom spores and others may become sensitised by high concentrations of spores. The aroma of success is geared to plant selection and location when planting out. It is easier to capture colour in the garden than to capture scent but scents can stay in the memory evocatively and vividly. As with most gardening a little forethought can help you get far better results from a similar amount of effort. Choose plants that are known for their scent. 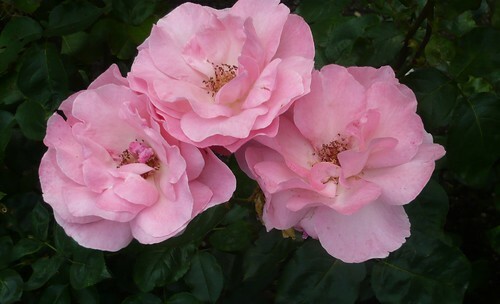 Lighter coloured varieties often have more or better perfume. Scent is best when the pollinating insects are at their most active and that often means in the evening particularly for those pollinated by moths. Plant several identical plants together and try not to mix strong scents in the same area as they will conflict. Scent is best sampled on a warm, calm still day and you can help this by designing recesses, arbors, pergolas and hedges to create the still environment. Aromatic leaves and herbs should be slightly crushed to get the best scent. Do not be afraid to touch plants. Even bark can have a scent like cedarwood (Cedrus atlantica), Juniper virginiana or Betula pendula (Birch). 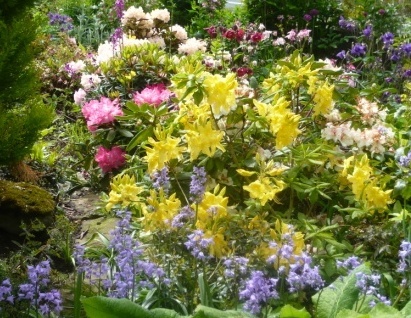 Choose plants for succession Winter Jasmine, Hyacinths for spring, Lily of the Valley in May and Roses for June as examples. 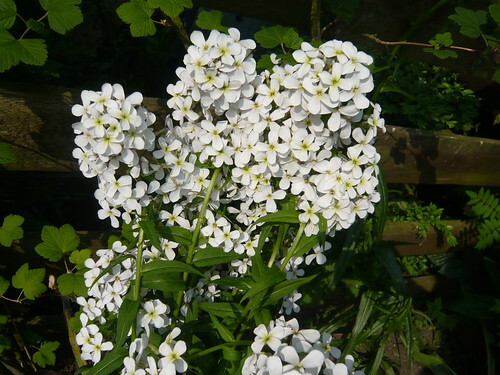 Hesperis is a hardy biennial that flowers in blue, purple or white. It is easy to grow from seed and flowers through summer. 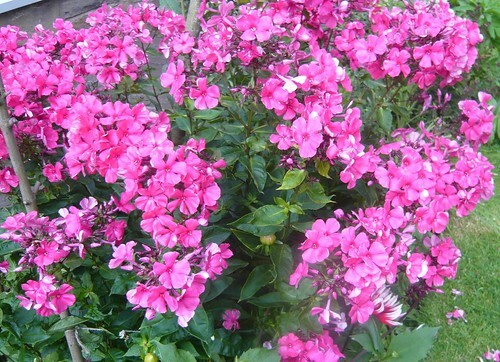 The main charm is the scent that you get in an evening from the masses of 18″-36″ high plants. 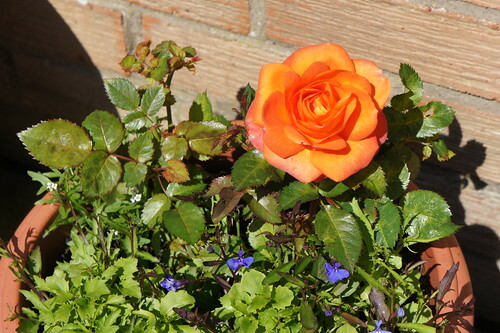 Ideal for the middle of borders, Cottage Gardens, Wild Gardens or a Wildlife Garden. Charming large spikes of single flowers attract hoverflies and insects. Optimum Germination Temperature: 60-65F (15-18C). Sowing Depth: 1/8 Inch (3 mm). Sow in late spring/early summer thin out or plant out in their flowering positions in early autumn. Space the plants 30cm (12in) apart in full sun or part shade. Plants self-sow freely in good soil. Hellebore niger seem later this year or is it just me? Either way you need to get down on your knees to see the best of the Hellebore flowers as they tend to hang the flower-heads to hide their modesty. 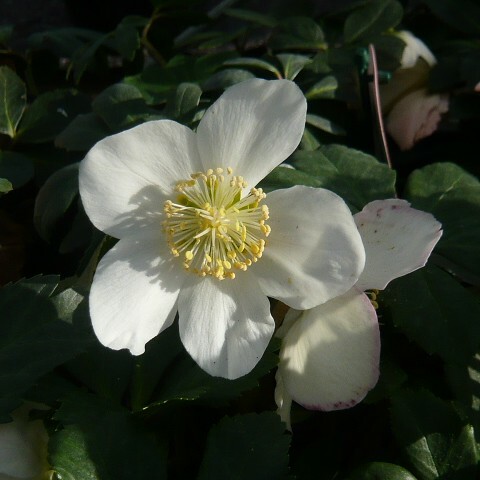 Grow Hellebores on raised beds or sloping banks so you have a chance to see the flowers. Pick the flowers for a vase and see their intricacy close up. Helleborus foetidus the stinking Hellebore is upright with a green flower. 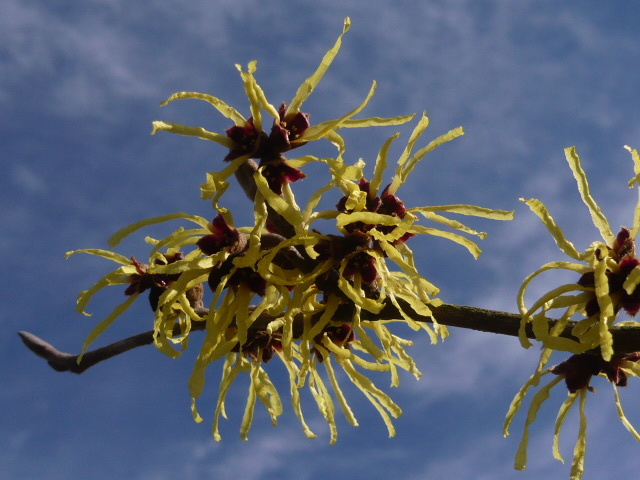 After scenting the flowers of the Witch Hazel look up and see the glorious patterns they form against a blue sky. Fortunately there are generally masses of bloom before the leaves appear and you can see patterns of petals from numerous buds. 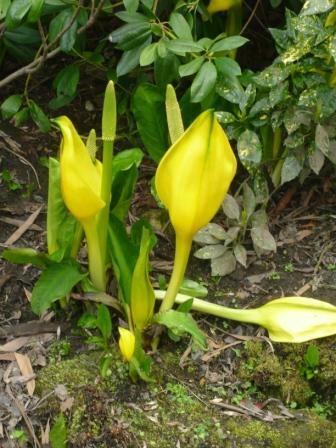 The flower colour, particularly in the hybrids can range from pale yellow, orange through to red and many of them have good scent, from sweet to spicy. A good photographic display of the following can be found on Witch Hazel nursery Hamamelis x intermedia, Hamamelis japonica, Hamamelis mollis, Hamamelis vernalis and Hamamelis virginiana. What is the flower that groups of people look at and sheep meet in ? Well it has to be Phlox and in this case the perennial Phlox paniculata. Only 3 feet tall but the pure white Phlox of Mount Fuji earns its AGM. the flaring petals open out from twisted buds to form clusters of flat white scented flowers. 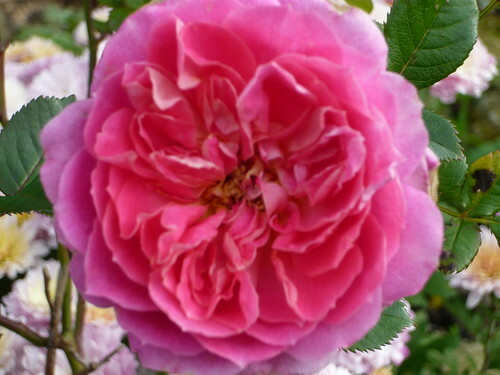 Another AGM winner is Bright Eyes with pale pink flowers having a deeper red centre. 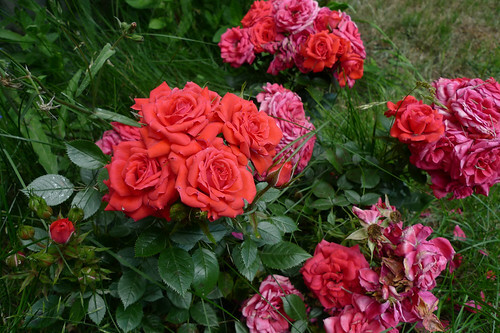 The foliage may take on the red tinge during summer and it grows to about 4 feet tall. Phlox paniculata ‘Dodo Hanbury-Forbes’ AGM just for its name or Blue Ice or Blue Paradise to balance up the colour scheme.